Provide comfort for the family of Barbara Prudhomme with a meaningful gesture of sympathy. 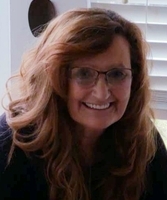 Barbara Louise Prudhomme, 63, a native of Sulphur, LA and resident of Lake Charles, LA passed from this life on March 16, 2019 in a local hospital. Barbara was a loving mother, grandmother, and sister. She will be remembered as an amazing cook and the life of the party wherever she went. She was a free spirit, loved dancing, and was very artistic. Her creativity was best displayed through her painting, hand made jewelry, and floral work as a floral designer. Barbara is preceded in death by her parents, Alee and Mary Clara Dozier Prudhomme, siblings; Michael Roy Prudhomme, David Prudhomme, Brian Paul Prudhomme and Larry Dale Prudhomme. She leaves to cherish her memory her loving children, Jennifer Gordon and husband Michael of Wichita, KS, Michael Greer of Wichita, KS, Jonathan Todd and wife Ximena of Chelsea, AL, and Marcus Todd of Wichita, KS; siblings, Alee Prudhomme and wife Judy of Houston, TX, Ivy Prudhomme of Katy, TX, Dale Prudhomme of Sulphur, and Kathy Venable and husband Randy of Lake Charles; grandchildren: Jace Gordon, Derek Mumaw, Avery Gordon, Kennedy Gordon, Lucas Todd, and Apollo Todd. In accordance with Ms. Prudhomme’s wishes she has been cremated and private services will be held at a later date. Her cremation has been entrusted to Lakeside Funeral Home.